Selling fridges online isn’t quite Twitter. Yet Britain’s AO popped 40 pct after floating at 1.2 bln stg. The valuation takes breakneck future expansion for granted. Investors like new stock and entrepreneurs, and will pay up for growth based on disrupting existing industries. 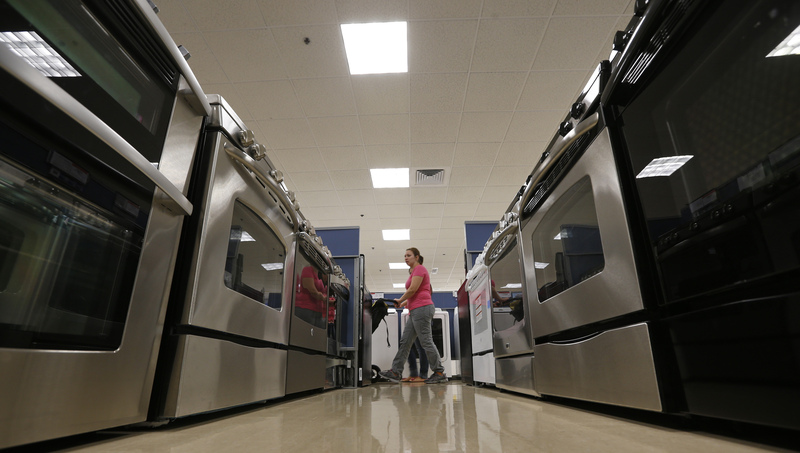 AO World "intention to float"
AO World, an online retailer of domestic appliances, surged after listing on the London Stock Exchange on Feb. 26. Shares in the British group leapt as much as 45 percent, before closing at 378 pence, a 33 percent rise that valued the business at nearly 1.6 billion pounds ($2.7 billion). The company, which competes with Dixons, had priced its initial public offering at the top end of a 235-pence to 285-pence price range. Founder and Chief Executive John Roberts cut his stake to 28.6 percent from about 38 percent, giving him a payout of about 86 million pounds.